Sweet Christine’s genesis was the vision of a young woman who was very ill and struggling to find the cause. Eventually, she and her daughter were both diagnosed with Celiac Disease. Beginning in 2008, Founder and Chief Culinary Innovator, Christine Ruggio, began developing delicious gluten-free food when she and her daughter found it difficult to find suitable gluten-free products on the market. It all begins with innovative, high quality, all-natural foods that put our consumers’ needs and values first. All Sweet Christine’s Products are produced in our Certified Gluten-Free facility and items are individually wrapped to avoid contamination. Sweet Christine’s prides itself on having superior taste, texture, and quality compared to other gluten free bread and dessert items. Eating gluten-free is a Lifestyle Choice for a growing number of consumers. 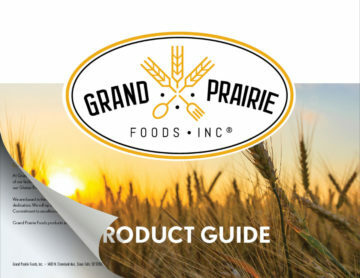 Our company has the certified gluten-free, clean label baked goods and sandwiches food service operators and chefs can leverage to help consumers fulfill their health needs. To learn more about Sweet Christine’s CLICK HERE. Sweet Christine’s Exclusively Packaged and Produced by Grand Prairie Foods, Inc.